In last years programme we talked about two major innovations that have impacted the trade namely improved model quality and DCC, interestingly those two innovations are still major talking points in 2013. 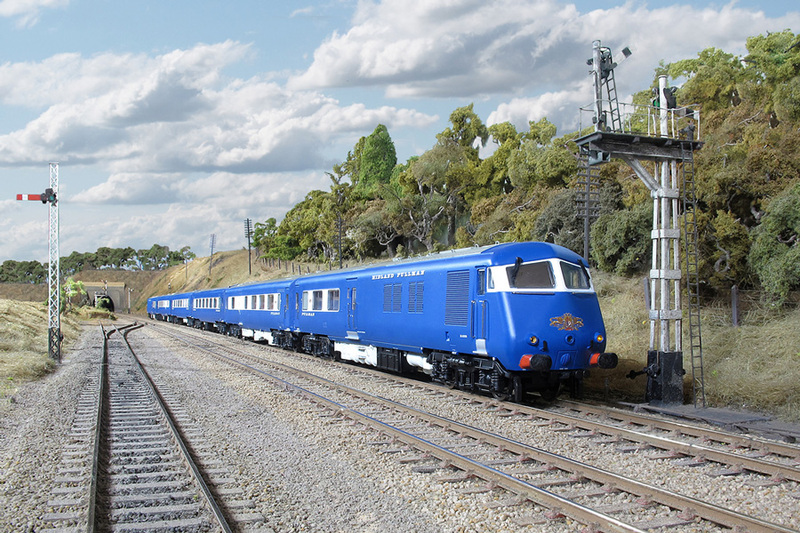 The quality of ‘off the shelf’ models continues to get better and better, personified in 2012 by the Blue Pullman introduced by Bachmann. These units continue to be a strong seller even after the initial rush after their introduction and it is hard to see how much more detail can be put into models whilst still holding a reasonable price. Following on the growing interest in Digital Command Control (DCC) the surprise best seller of 2012 was the book ‘Digital Command Control for Railway Modellers ‘ by Nigel Burkin and published by Crowood Press. This provides comprehensive coverage of all aspects of DCC from selecting a system through layout wiring to decoder and sound installation. A very readable volume that will be of help to both beginners and experienced modellers alike. The model railway retail sector has not suffered quite as much as other businesses, remaining roughly static for the last 12 months; this has been assisted by the introduction of new models by most manufacturers. However the failure by manufacturers to introduce new models on the dates publicised can cause buyers to hold off spending money until the new models are eventually released. Interestingly the same complaint is heard from across the Atlantic where modellers have been waiting 15 months for the On30 Heisler from Bachmann and the latest forecast is another 8 months before the model is with the dealers.